If you sell prescription medication, there are hundreds of channels you can try to advertise your products, but which are the best? Below you’ll find some of the best advertising channels for pharmaceuticals that you should be on. PharmacyChecker is a price comparison portal that verifies online pharmacies and allows its users to find the lowest price, from a reputable source, on their prescription drugs. Since their inception in 2002, PharmacyChecker has received recognition from the New York Times, Wall Street Journal, and many others, for their accurate verifications and price comparisons. Based out of Nuremberg, Apomio is a German pharmacy and medication comparison channel that allows patients to compare prices, submit side-effects they experienced, and rate pharmacies. They currently boast a selection of 300,000 products. 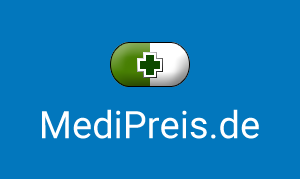 MediPreis is a German online platform that gives consumers an in-depth comparison of prescription drugs to ensure that they are getting the best available price for their medications. Over the last decade, Medizinfuchs has emerged as one of Germany’s leading price comparison channels for pharmaceuticals, with an inventory of over 350,000 products from over 150 certified pharmacies. Need help in optimizing product feeds for these channels? Feel free to reach out here!